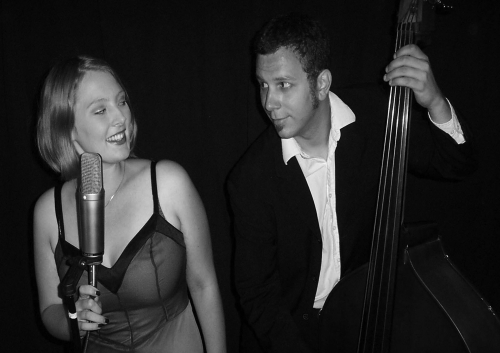 The Interplay Quartet is versatile and powerful jazz group that is co-lead by a wonderful husband and wife team. Lead singer Moorea is a studio singer featured on the video games Guitar Hero, Garage Band, and Karaoke Revolution as well as a teacher, performer and arranger. Moorea?s husband, Tarik, is an accomplished bass player, songwriter, arranger and front man as well. The Interplay Quartet regularly plays on The Hornblower Yachts, corporate events, private house parties, weddings, winery events, and more. Their Jazz repertoire is extensive, and being accomplished musicians has allowed them to additionally build an impressive list of R&B, Rock, Funk and Latin selections.